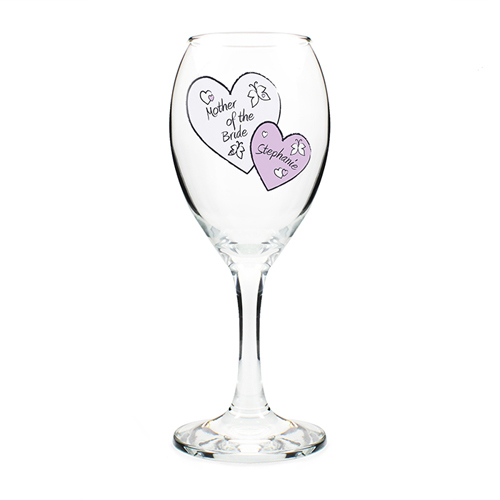 This beautiful wine glass makes an ideal gift for any female member of a wedding party or the wedding couple themselves. Personalise with the role of the recipient or the brides name in the first heart using up to 19 characters and the name of the recipient or the grooms name in the second heart using up to 12 characters. Personalise with the role of the recipient or the brides name in the first heart using up to 19 characters and the name of the recipient or the grooms name in the second heart using up to 12 characters.